Instrumental in developing combination chemotherapy programs that led to an effective regimen of curative chemotherapy for Hodgkin's disease and diffuse large cell lymphomas. In 1980, appointed Director of the NCI and the National Cancer Program, a position he held until 1988. 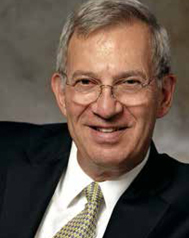 Director of the Yale Cancer Center from 1993 to 2003. In collaboration with another physician, DeVita developed the combination chemotherapy CMF, which still remains a useful therapy for breast cancer. Along with colleagues at the NCI, he developed the four-drug combination, known by the acronym MOPP, which increased the cure rate for patients with advanced Hodgkin's disease from nearly zero to over 70%.